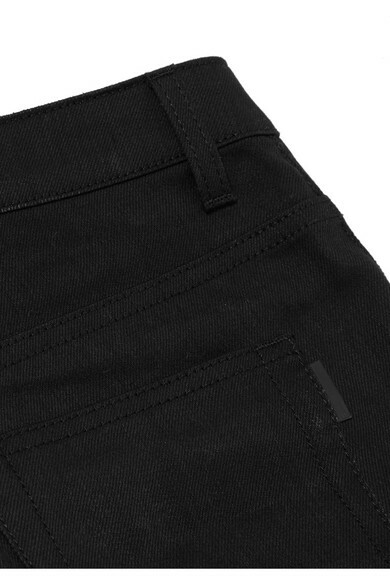 Saint Laurent is known for its cool rock 'n' roll designs, and what could be cooler than a pair of skinny jeans? Especially when styled with a love-worn biker jacket and Chelsea boots. They have been made in Italy from denim that's woven with a hint of stretch to keep their second-skin shape. 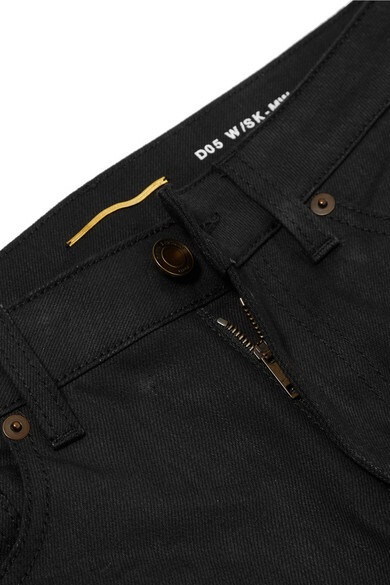 Cut to sit high on the waist, they're detailed with pre-wrinkled front pockets and burnished hardware. Shown here with: Saint Laurent Jacket, Saint Laurent Shoulder bag, Saint Laurent Ankle boots.